At the star-studded Harvard Initiative on Learning and Teaching (HILT) event earlier this month, where professors gathered to discuss innovative strategies for learning and teaching, Harvard's professor Eric Mazur gave a talk on the benefits of practicing peer instruction in class, rather than the traditional lecture. The idea is getting traction. Here's more about the practice. 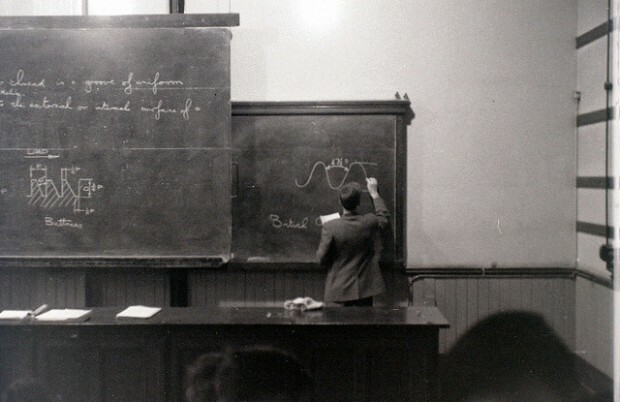 Most of the students in his lecture classes were not motivated to learn physics, and they didn't seem to be learning much. "I'm going to put it to short-term memory," she says. Once she takes the exam, Dainton expectsshe'll forget a lot of what she learned. 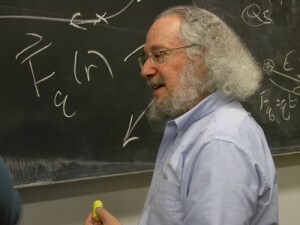 Physics professor Joe Redish at the University of Maryland. "We need a much larger swath of [the] population to be able to think critically and problem-solve." 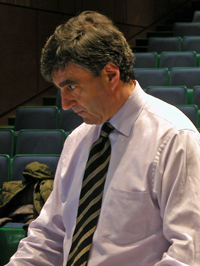 Harvard physics professor Eric Mazur preparing to teach class. After just a few minutes of talking to each other, most of the students seemed to have a much better understanding of the concept he'd been trying to teach. 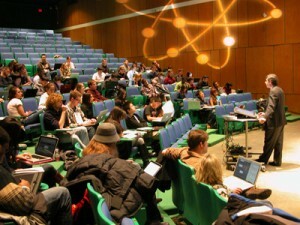 Eric Mazur teaching his class at Harvard. In addition to having a deeper grasp of concepts, students in Mazur's classes are better at solving conventional physics problems, despite the fact that Mazur no longer spends class time at the board doing problems. By Emily Hanford from American Public Media's "American RadioWorks®", © 2011 American Public Media. Used with permission. All rights reserved.